White Stand Designed for Privia Digital Pianos. 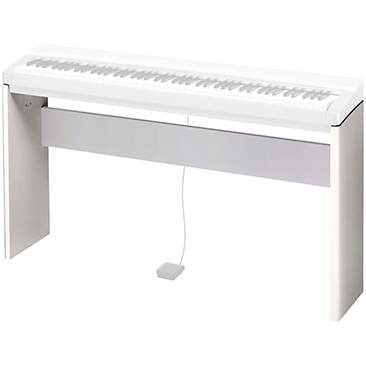 CS-67PWE is a white wooden stand designed to support Privia digital pianos while. The stand provides a stable and secure platform and brings your piano to the perfect playing height. It also allows the SP32/33 pedal board to be installed.